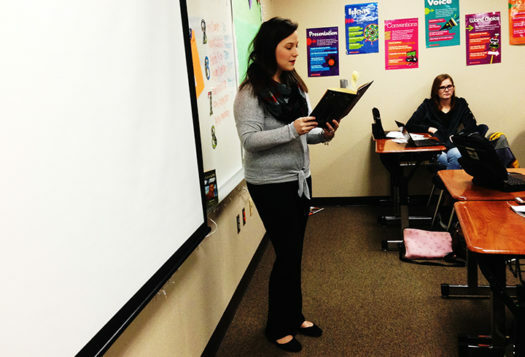 English teacher Lauren Rodriguez lectures during her AP class. One of the main reasons Rodriguez is now teaching here is because she and her husband bought a house in Buffalo and she wants to be involved in the community that she lives in. She said she has felt welcomed and likes all the students she teaches. Since she has a passion for reading and literature in general, she has always wanted to be a teacher. Rodriguez said that teaching has made her more confident.